September | 2015 | Hewitt Engineering Inc.
Construction is complete for the UGRA Water and Sediment Control Basin K-3 located in western Kerr County. This project consisted of an 8-foot high, two-cycle labyrinth weir with an overall length of 100 feet. The weir was constructed into a creek bottom width of 54 feet. 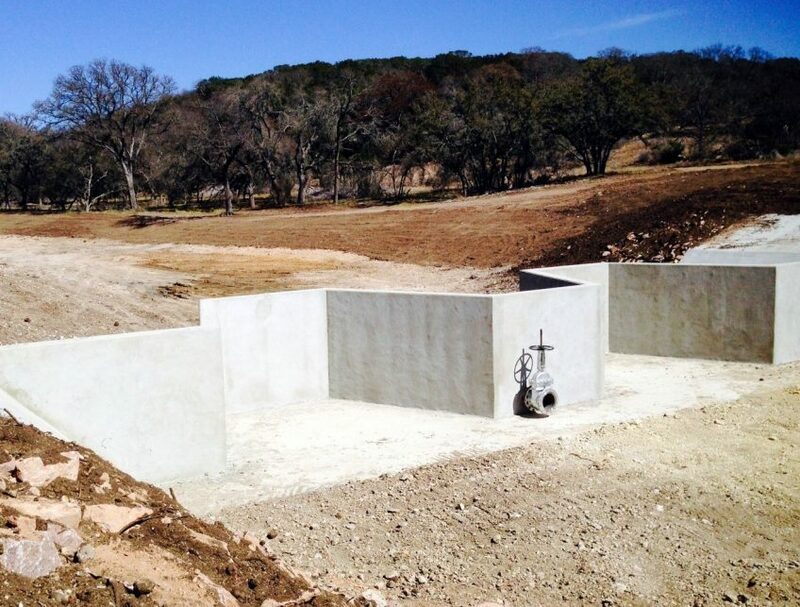 The project is located on an unnamed tributary of Johnson Creek which is a tributary of the Guadalupe River. During significant rainfall events, this basin captures and temporarily detains high flows allowing the flows to be released in a controlled manner to protect water quality and control erosion. In addition, the basin captures sediments that would otherwise degrade downstream water quality.